Choking back tears, the Muirhouse man told councillors about what it was like living in a damp-ridden council flat. A week later there were angry scenes outside Fidra Court as residents and campaigners highlighted the condition of flats in all the area’s high-rise blocks. Then at this week’s Craigentinny and Duddingston Neighbourhood Partnership, the meeting was told of a flat in Restalrig in which sewage water was running down the walls of a flat because of an unrepaired broken pipe. The same meeting heard that a stair in Piershill had become a haunt for drug users, making residents’ lives miserable, because a secure main door and entry system had not been fitted. These are the real stories behind this week’s annual Audit Report to the city council by business consultancy and accountants Scott-Moncrieff which highlighted the ongoing problems within the council’s housing service. The quality of Edinburgh’s council housing was bracketed as one of the “persistent areas of poor performance” and the report noted that the standard has been the lowest of any council in Scotland since 2014-15, suggesting a quarter of the council’s 20,000 houses were judged not to meet the Scottish Housing Quality Standard. Just under 60 per cent of council accommodation is regarded as suitable for its current use, which again the report points out is the worst performance in Scotland and has been since 2011-12. The inescapable conclusion is the persistence of problems reflects an inability of successive administrations to address them properly and now the Scottish Government is putting an even greater squeeze on council budgets there is less cash than ever to produce solutions quickly. Officers blame the low satisfaction on the large number of council homes which are dotted around the city in closes where most flats are privately owned and often rented out, which they say makes getting agreement for improvements and securing payment from multiple owners more complex. That’s the excuse given for the lack of action to tackle the problem close in Piershill, but that cuts no mustard for the tenants who dutifully pay their rent. The council does have a plan to spend £500 million over the next 15 years to bring all the housing stock up to new-build standard, but for the 5000 or so people living in homes which fall below the quality standard the execution of that plan can’t come quickly enough. If the council’s problems stopped at housing it would be worrying enough, but the Audit Report’s concerns run much deeper and wider, especially the quagmire that is the integration of health and social care in which little progress is being made in reducing delayed discharges from hospital, again the worst in Scotland. Expected savings have not been delivered, leading the auditor to conclude there is a high risk the budget for adult social care is not enough to deliver a better service. 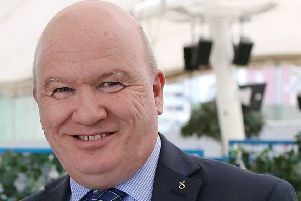 “Our review of progress against the improvement plan concluded that reporting and therefore governance of the plan lacked clarity and focus,” it said, which might once again call into question the role of the Integration Joint Board convener Ricky Henderson, but the chances of a new convener from within the administration making any difference seems remote even if, to quote the report, “the pace of change and level of improvement has not been good enough”. Similarly disappointing was progress in the roads improvement plan, the auditor pointing out that only eight of the 36 actions agreed 18 months ago were achieved by March and commenting that significant work was required. But it’s not all bad news, the council “demonstrates good self-awareness” and apparently members provide “effective scrutiny and challenge”. Maybe the auditors mean there is a decent opposition, because from where we sit we hear little from the administration seats but complacency. And I bet the person with sewage running down his flat walls would agree. If there is to be a note of caution about the Audit Report findings it’s the observations about the new localities committee system, which by dividing the city into four zones aims to tailor the delivery of council services to local demand. Really? That’s certainly not a view shared by the majority of my group colleagues, or my ward colleagues from the other parties. If anything, localities have added another layer of bureaucracy and are further away from local communities than the neighbourhood partnerships they are meant to replace. Indeed, in Craigentinny and Duddingston we are agreed that our neighbourhood partnership should stay.